In September 2016, about 230 workers at Robertson Winery (RW) in the Western Cape went on strike. They have been picketing the factory gates, trying to stop the recruitment of strike breakers and urging all in Robertson not to buy Robertson wines. 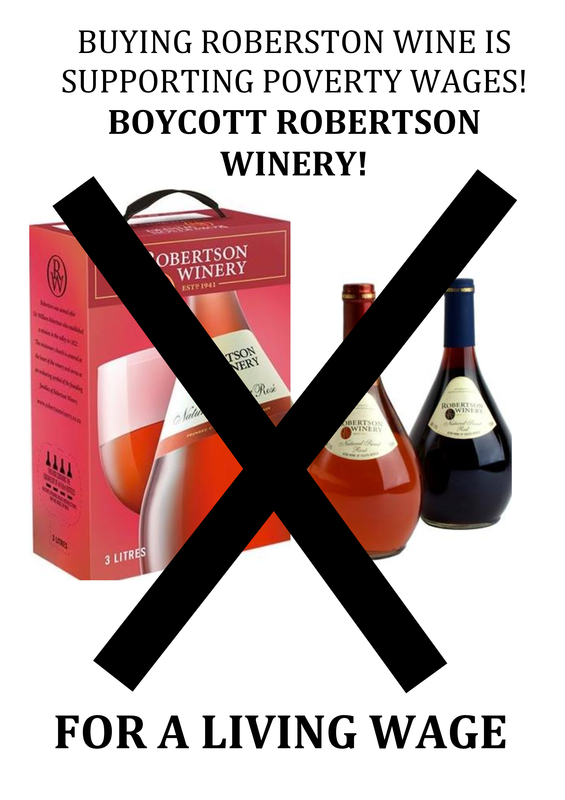 Their union, the Commercial, Stevedoring, Agricultural and Allied Workers Union (CSAAWU ) has issued a general call to boycott Robertson Winery products for as long as the strike goes on. The starting wage at the winery is R2,900 a month. Close to half of the 251 workers are “General workers”, earning R3,200 – R3,400 per month. The workers are demanding a minimum of R8,500 for the majority of workers and R10,000 for skilled workers. The company claims that these demands are “unrealistic”. At an information meeting on 9 July, RW decided to show at least some of its financial statements, presumably hoping to support this claim. Later, at the CCMA arbitration in August, RW claimed that “return on investment” is below 2% and that the company pays “30% more than the minimum wage”. These are the figures they use to support their case that they can only afford a “business as usual” 7% wage increase. This would be a little above the official inflation rate, but much less than the real inflation rate for poor households. The truth of the matter is that the way things work at Robertson Winery, this “return on investment” argument is dishonest and misleading. The lifestyles of the owners and directors of the plant are not paid for from share dividends. They are paid for from salaries, and probably from interest on shareholder loans and income from the group of companies and farms that RW leads. Robertson Wide River Wine (RWRW ) which sells all RW’s finished products. This makes it RW’s only “customer”. Roberston Kooperatiewe Wynmakery Beperk (RKWB), which takes grapes from about 30 farms, processes them into raw wine and supplies RW. At the July 9 information meeting, the company claimed that these businesses are all completely independent from one another. A closer look shows that this is not true. RW has failed to disclose the 30 pages of notes to the company’s financial report which would help us to understand the relationships. But we have been able to piece together some of what is happening. Sitting at the CCMA arbitration, the union could immediately point to one of the RW directors. He is a farm owner who has twice threatened the union’s Deputy General Secretary with police and blocked him from talking to the farm’s workers. The names of company directors are published in the company registry at CIPC in Pretoria. The table below lists the directors of the 3 companies. Four of the directors of Robertson Winery are also directors of the other two companies. Two more directors of Robertson Winery are directors of RKWB. One more director of RW is also a director of RWRW . Two more directors of RKWB are also directors of RWRW . A closer look at the 2015 Directors Report shows that Robertson Winery is in fact a “joint-venture” between a fourth company, Vinimark Trading, and the farm cooperative RKWB! The employer claims CS AAWU cannot demand access to the farms, but their company is owned by farmers. 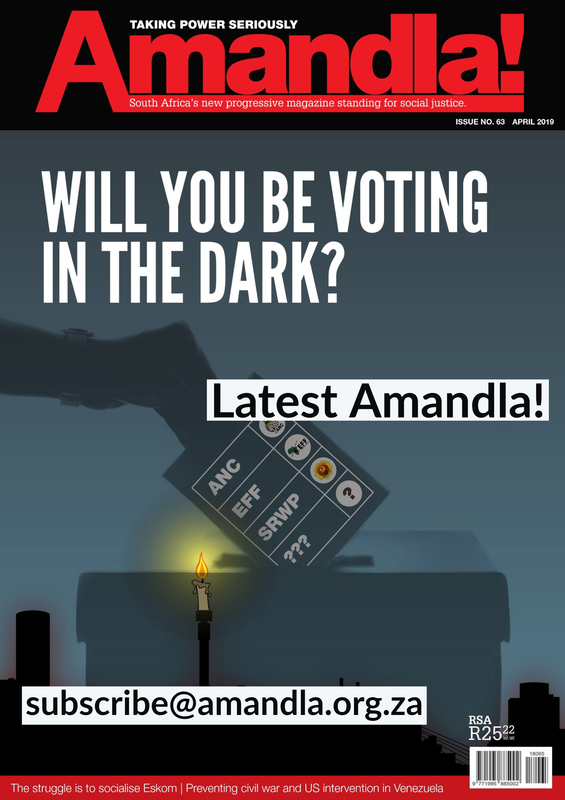 Vinimark is the export company, according to information which Amandla! got from the Swedish state company, Systembolaget. Vinimark’s directors are our three gentlemen: Rands and Naude who are directors of all three of the other companies, and Harvey, who is a director of RW and RWRW . Profits between R70,700 and R365,000 were taxed at 7%. Profits between R365,000 and R550,000 were taxed at 21%. 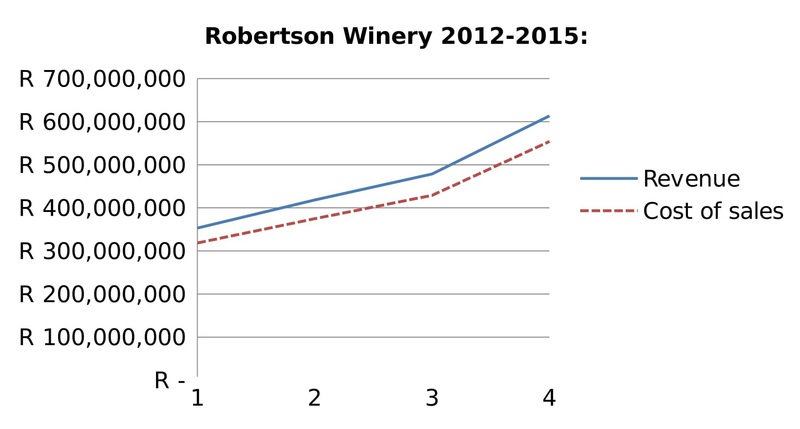 The ordinary tax on profits is 28%, and that is the rate that a big company such as Robertson Winery would pay. So any profit that it can shift to companies in the lower tax brackets will save tax. Individual farms can be expected to have less than R550,000 in taxable profits. In this way, the smaller companies in a group become a kind of tax haven, a Bermuda or Cayman Islands. Profits are shifted through so called “transfer pricing”. This is highly relevant in wage bargaining. Profits that are shifted are also shifted away from the wage bargaining table. RW ’s sales grew by a tremendous 74% over four years – from R353 million to R613.5 million. They did this by buying more land and more farms. Despite this growth, their gross profit rate stayed at 10%. Indeed, in both 2013 and 2014 profit was exactly the same, down to the decimal point – 10.4%. The reason the profit stayed the same is that general production costs also increased by 74% – from R318.6 million to R554.2 million! No matter how much RW produced and sold, the production costs increased just as much. But that is not how businesses work. Some business costs are fixed costs – they remain the same however much the production is. Some of the costs are variable costs – they grow according to production. So for RW to claim that its costs grew at the same rate as its revenue means that they are saying that in their business there are no fixed costs. This is quite simply impossible. The only possible explanation is that the prices that RW pays to the RKWB for raw or bulk wine are “administered”. They are artificially set to follow RW’s increasing sales. The gross profit rate of RW is kept at 10% by agreement. This shifts profits from RW, which has a higher tax rate, to the farming cooperative RKWB and individual farms, which pay less tax on their profits: The profits in the whole RW Group are spread out to minimise total tax payments. The RW Group is a small planned economy. But there is more. From 2012 to 2015, the number of workers increased from 189 to 251. The wage increases were the usual 7 – 8% per year. The company did not reveal wage statistics to CSAAWU , only total labour cost. The labour costs of course increased, but only by 69%. That is less than the 74% overall increase in costs. So that means that, according to their financial statement, other costs must have increased by more than 74% to keep the average at 74%. The story of the RW financial statements therefore is that the more bottles and boxes of wine the company sells, the more each unit costs. This is the opposite of how businesses work. In fact, the higher the volume of production in a business, the less each unit costs. It is a business principle called “economies of scale”. Robertson Winery is claiming to operate on the opposite principle from all other businesses. CSAAWU ’s demand of R8,500 and R10,000 amounts to an average wage increase of about R4,000 per month for each worker. That would cost the company an extra R14.6 million per year. Just as an example, let us suppose that all the other production costs had increased in line with the 69% increase in the company’s labour costs. In that case, Robertson Winery would have added over R14 million in profits to the R12.8m it reported in 2015. No doubt the real figure is even higher if the transfer pricing distortion is removed. But just that R14m would be enough to pay what CSAAWU is demanding. In the meeting of 9 July, a financial officer was asked why “Other Incomes” were about R4.5 million higher in 2015 than in the previous three years. “This is interest from a loan given to one of the directors”, was the answer. At a prime rate of interest of about 8%, that means the loan was over R50 million. This embarrassing loan was denied at the CCM A arbitration. It illustrates what resources the Robertson Winery Group commands. Together with the tax planning scheme, it shows how realistic the workers’ wage demand really is. 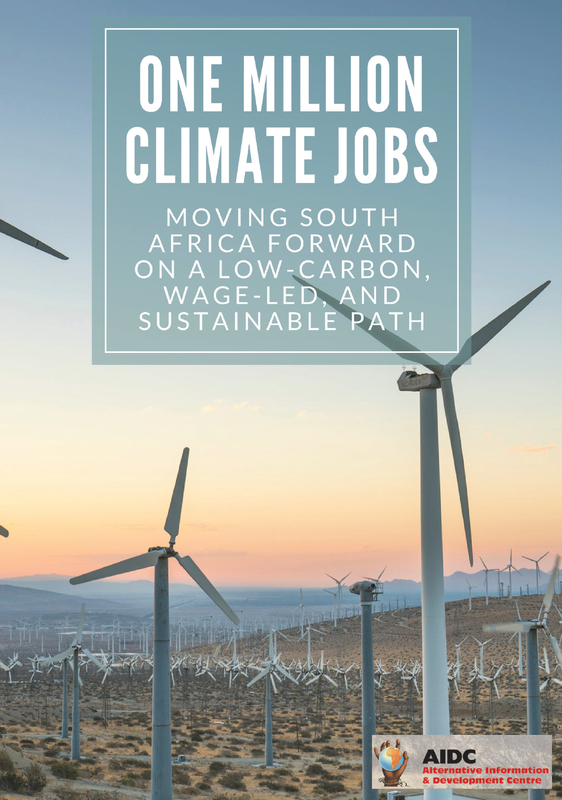 Forslund is an economist at AIDC who has assisted CSAAWU in some of the negotiations.